The coffee world can be confusing, exciting, and a bit overwhelming. You can only consume so much caffeine per day, so picking the right coffee can be daunting. Most people I talk to will pick coffees based on the information they have (which is often not nearly enough to make the best decision). Whether it is a specific country or a roast level, it is hard to step outside your comfort zone. I feel your pain, before I was a coffee professional, I really had no clue what made coffees different. I'm here to help! I am going to do my best to categorize coffee into major flavor categories (I was highly influenced by Greg Engert's beer tasting system). Greg did 7 categories for beer, I'm doing 4 categories for coffee. Please keep in mind, these are broad generalizations, and there are exceptions in every category but this should give you enough info to make an informed decision. This category is a bit different than the other three as it connects a wide range of coffees that are all roasted into 2nd crack (medium-dark to dark roasts). At this point the coffee bean will begin to break down and carbonize. The more this happens the more smokey and bittersweet the coffee will get. The flavor of the roast comes through with the origin flavors playing a supporting role (or disappearing completely in very dark roasts). My Mexico: Chiapas Jacinto has been our signature dark roast for 3 years now. It is classic and dependable, and our dark roast fans love it. Flavors tend to be dark chocolate and a noticeable bittersweet bite. The aroma is often smokey sweet and the acidity is muted or non-existent. The flavors in these coffees tend to hold up better to the addition of cream and sugar, so this is your best choice if you want to taste the coffee and you like to add a generous amount of cream and sugar to your cup. If this coffee does have fruit notes they will be only dried fruits such as dates and raisins. My Colombia: Huila is a great example of this. I won't list origins for this category since most any coffee can be dark roasted. We find that high-grown, dense coffees that are relatively straightforward make great dark roasts. Roasted coffee is a complex thing with over 800 flavor compounds. There is a bean for every pallet. If you want to do some exploring with our coffee you can try our 2 for $22 deal. Put the category you want to try in the notes column and I will send you two coffees in that category. Also, in about a month, you can come talk to us in person at our new roastery and coffee bar in Richmond, TX. We are working hard on getting it open and we can't wait to share it with our community. In case you haven't had a chance to try our Costa Rica: Sonora, I highly recommend it. It's excellent as a pour-over but really excels as a single origin espresso. 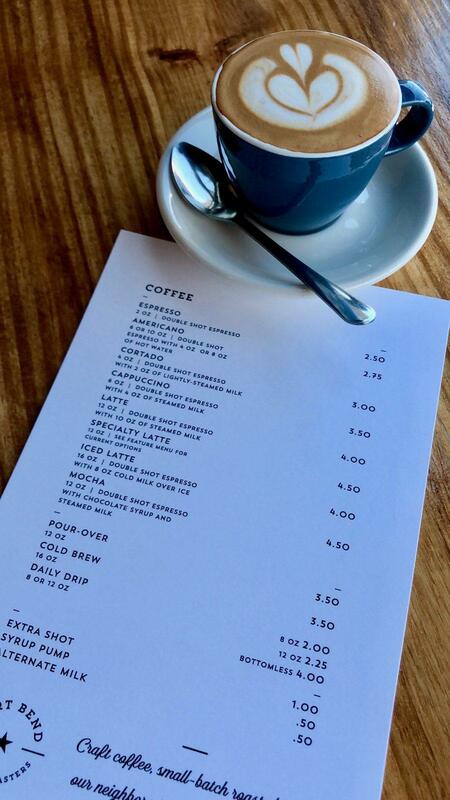 Blockhouse Coffee and Kitchen is using it as their espresso through the end of June 2018 if you want to try that out. This specific lot is a balanced blend of black honey and natural processed coffees. The flavor is berries and chocolate with baking spices. We can't get enough of it, and we have already put our commitment down for the next harvest so this will become a perennial favorite on our lineup. 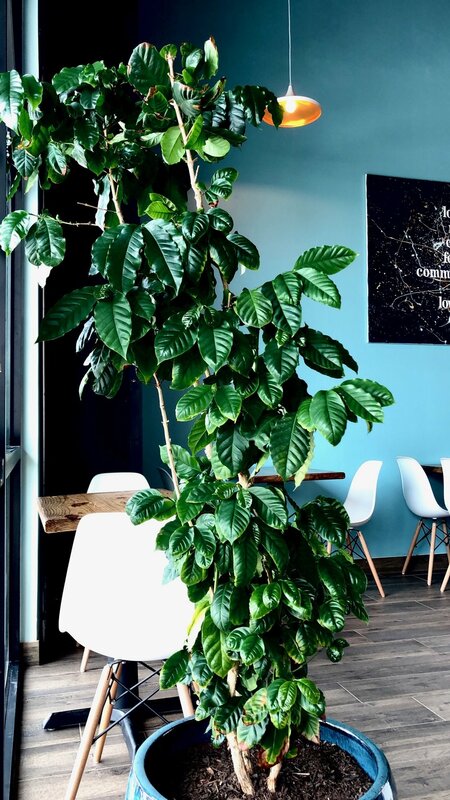 I wanted to share a bit of the back story of this coffee and how it fits into the greater story of craft coffee in Houston. This 100 hectare farm in the Central Valley of Costa Rica has had a huge impact on the quality of coffee coming in to Houston roasters. The story starts with a coffee farmer named Diego Guardia who had a passion for growing great coffee and a penchant for unconventional processing methods. The washed method has been the gold standard for Central American coffees for decades. Natural processing was seen as a cheaper, simpler method for processing low quality coffee. It could not get the same price as a washed lot, so most farmers didn't bother. The honey process was mostly unheard of. But, as it turns out careful farming and processing Central American farms could produce amazing natural and honey process lots that captured the terroir of the region and bring in new flavors and complexity. Ethiopia and Yemen had been producing great natural lots since they started growing coffee, but it had largely not been tried outside of these countries. Quick aside on processing methods: The washed method, which is the most common involves harvesting the coffee cherries and then immediately removing the outer skin and pulp to reveal the beans inside. After a fermentation process, the beans are laid out to dry either on a patio or on a raised bed. This method produces clean, clear flavors, higher perceived acidity, and a lighter body. The natural method is different in that the cherries are laid out to dry after harvest without removing the outer layers. The fermentation process happens in the cherry skin, which is later removed once the beans reach the proper moisture level. The honey process is in-between the two. Some of the outer cherry and pulp are removed, but not all before the drying phase. The different colors refer to the amount of cherry that is removed. A black honey has very little removed, a red honey is somewhat in the middle, and a yellow or white honey is much closer to a washed coffee. It is more complex than this, but this gives you a rough idea. This coffee made it to Houston because a group of Houston roasters (Boomtown, Amaya, Southside, probably others) got together as a buying group using Interamerican Coffee as their importer. Ever since then, a container of Hacienda Sonora coffee has made its way to the green coffee warehouse in Houston. Most of it is bought up by area roasters before it hits the port. This was a very early direct trade relationship and it helped pave the way for many more once, Interamerican saw the success of this program. I credit this for many of the amazing lots that I have brought in over the years. If you have tried other roasters, you have probably seen a Sonora or two on their lineup. You may also notice, they all taste different since Hacienda Sonora produces lots of different lots using specific varietals and processing methods. Diego has also help farmers in his region to increase the quality of their coffee as well as giving them access to his processing mill. We are happy to support Hacienda Sonora and to show off their amazing coffees. And we are thankful to the early roasting risk-takers who paved the way for great coffee in Houston. Hey guys, the FBCR blog has been dark for a while. We've been knee-deep in schematics, budgets, subcontractors, and governmental regulatory agencies. We are working hard to get our coffee bar/roastery combo opened on the corner of hwy 99 and Mason Rd. We are about 3 months behind my original schedule (which, if you know the industry is pretty good). One of the biggest hang-ups has been the post-Harvey construction scene in the Houston area. There is still so much to do around the city, that labor is not cheap or easy to find. The good news is, after getting bids that were literally more than double my budget (AHHHH! ), I have finally put a team together that is going to get this project completed (with a lot of help from friends). Don't quote me on this, but I actually think we will be open sometime in June! Ok, so here's where you come in. Even with calling in all my favors, we are still near the top of our budget (that makes me nervous as there are always unforeseen expenses). We have put together a GoFundMe campaign to raise money for the equipment needed to run the shop. In exchange for a donation, we are saying thank you, the only way we know how, free coffee! You can check out the link to see how much free coffee you get based on various donation levels. We are so thankful for the support all of you have given us these past 5 years as we grew from a simple farmer's market booth, to the biggest supplier of locally roasted coffee in Fort Bend County (that sounds more impressive than it is!). 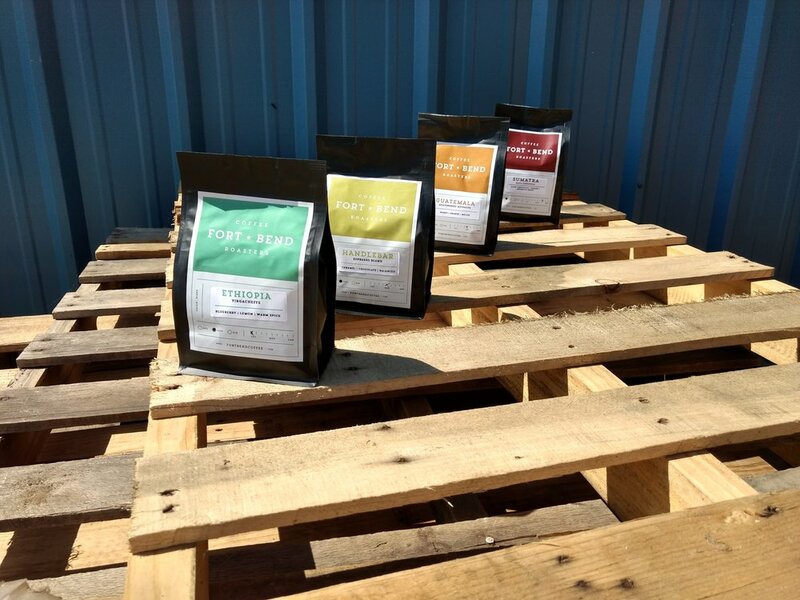 We are excited to show you just how great our coffee can be as well as give you a convenient spot to enjoy a cup and pick up a freshly roasted bag straight from the roastery. What's the deal with espresso blends? Unless you have been avoiding civilization entirely over the past few weeks, you have probably heard about the next big thing at Starbucks; the Blonde Espresso. This lighter espresso roast has been presented as a revolutionary new idea. Never mind that us in the third-wave coffee world have been using light espresso roasts for years. I realize there is a lot of confusion about espresso roasts and so I will do my best to demystify this topic. Espresso blends are as old as espresso, as coffee professionals very quickly learned that they could not get a perfect and consistent espresso with just one origin. The classic Northern Italian espresso starts with a base of natural or pulp-natural Brazilian beans. This is supported by mild Central American coffees (such as Guatemala). More intense coffees such as Sumatra, or possibly some Robusta coffee give the coffee a thicker body and more bite (or they may stick with something more mild like a Colombian). The roast level is generally medium to medium-dark. This is the style that you will find in Illy's Normale espresso blend. The Southern style uses darker roasts and favors coffee with more dark, bittersweet notes. The American understanding of espresso has generally fit more in the Southern Italian camp thanks to many 2nd wave roasters (such as Starbucks) presenting a dark espresso blend. Still to this day, I think the majority of Americans assume the default espresso roast is a dark roast. I know I did before I was a coffee professional. And while there are many great dark espresso blends, espresso can really be made with any roast level, so long as the blend is done well, and the barista understands how to extract a good shot. As the third wave picked up in the early 2000s, roasters started experimenting with lighter espresso blends and with single origin espressos. Many of the earliest 3rd wave roasters still offer a darker espresso and demonstrate the transitional step between roast styles (such as Stumptown's Hairbender, a medium dark roast). Today, you will find a medium to medium-light espresso blend at most 3rd wave shops. The espresso blend requires a different approach than a standard drip coffee blend. 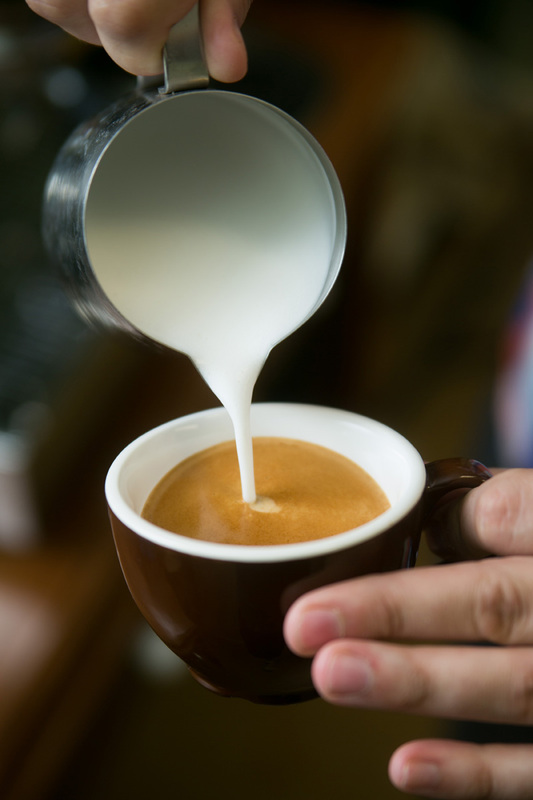 The goal is not just great flavor and aroma, but also structure, body, balance, and good crema production (the light brown foam on top of a straight shot of espresso). The blend also needs to taste great in the highly concentrated espresso as well as mix well with steamed milk (though there are some blends that are made specifically for straight shots). The roast process is also a bit different as espresso blends are generally roasted slower to reduce brightness and increase body. In a concentrated espresso, a beautiful bright acidity can sometimes become overpoweringly sour. Our popular Handlebar Espresso blend is our attempt at a slightly modernized version of that classic Northern Italian blend. We use a base of Brazillian pulp-natural coffees and opt for the traditional washed Guatemala. These two coffees give the blend balance and a great structure as well as the chocolate and caramel base notes. From here, we add 2 coffees that set the individual flavor profile. These coffees change based on what is best in season right now. Our current blend features our Costa Rica Sonora Honey/Natural and our Rwanda Kilimbi. This gives the blend cherry and floral high notes. This blend is constantly evolving based on the coffees we have available. We roast this coffee in two parts and blend after roasting. The first part is just the Brazils, these are given a slightly lighter and more gentle roast to keep the Brazils from getting ashy. The rest of the coffees are roasted in part two and are brought to the very edge of medium roast. The goal is maximum development without introducing any bittersweet notes that would be found in a darker roast. We are very focused on the quality of our Handlebar espresso as this is the coffee that we sell the most. 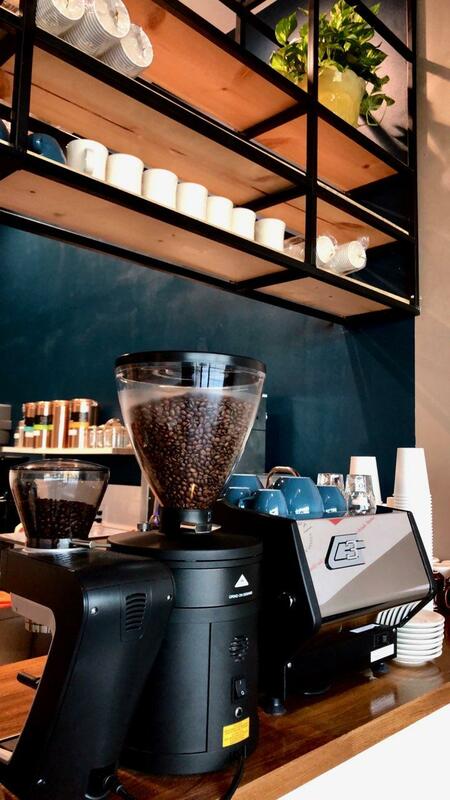 Espresso is the backbone for most coffee shops and it is often the first time someone new gets to try our coffee. We are all about making a good first impression.